Remove skin tags quickly and effectively with minimal pain and scarring using the Vasculyese System. The procedure is non-invasive and produces instant results. With the Vasculyese System, you are free from any visible scarring since it only focuses on the upper layers of the skin. 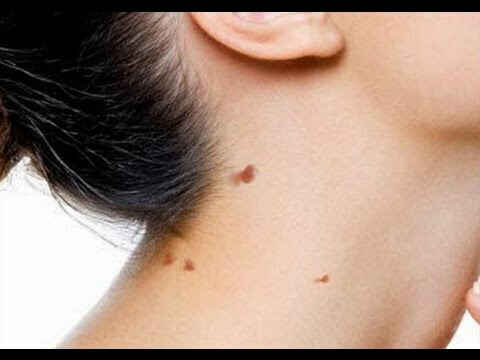 Skin tags are bits of benign skin growth that hang from the surrounding skin by a narrow stalk. Their appearance has many variations; they can be wrinkled or smooth, flesh coloured or slightly brown, and can take on an assortment of different shapes. These skin tags can be found on any part of the body but most commonly you will find them in areas where your skin often rubs against itself or your clothing (armpits, eyelids, under your breasts, neck). We can remove cosmetically unwanted skin tags with our Vasculyese system using Electrocautery. This system removes skin tags quickly with minimal pain and scarring. Small skin tags are removed easily without anesthesia, while larger skin tags may require some topical anesthesia prior to the procedure. Depending on how large the tag is-you may require more than one treatment. An instrument is heated electrically and then applied to the skin tag to burn its cells. It is a quick procedure leading you to be tag free within 20 minutes. You will leave the clinic with a small bandage over the treated area. We recommend you leave it on for 24 hours. You will notice a crust or scab. Keep the area clean at all times by washing it with an antibacterial soap. Avoid picking it, as this can lead to scarring. You may experience small localized redness, swelling, and tenderness after treatment-this could last up to 2 weeks.